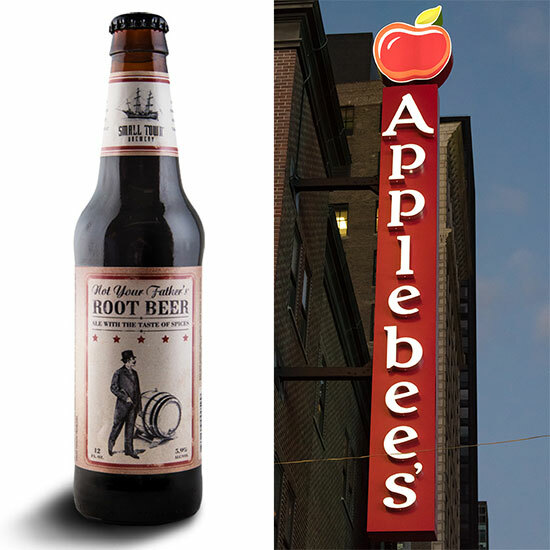 Did Applebee's Just Ruin Hard Root Beer For Everyone? Three children walk into an Applebee's and order up some root beers. Seems innocent enough, right? Unfortunately that cute scenario almost ended with drunk kids and a very angry parent this week at a Tennessee location of the family-friendly chain. As WJHL reports, Johnson City police were called in after an employee mistakenly served minors Not Your Father's Root Beer, an alcoholic variety of the beverage. After a few sips, the father of the children noticed the label touted the drinks' 5.9 percent ABV and alerted the employee who allegedly insisted the bottles were just plain old root beer. It might be an innocent enough mistake, except that apparently that Applebee's location doesn't even serve regular root beer. One of the children was taken to a hospital with minor stomach pains but was later released, and the employee in question has been suspended. But with so many spiked sodas hitting the market, where does the blame lie for this mishap? The next logical step for concerned parents would be to petition for more effective labeling. (Perhaps we go back to those large jugs with three X's on them?) On the other hand, it might be the responsibility of restaurants to institute employee training on just what should and should not be served to kids. Yes, it’s self-evident that wait staff should not serve kids booze, but these hard sodas are still relatively new to mainstream restaurants and everyone may not be aware of them yet. Thirdly, should we take to task the adults who aren't satisfied just drinking adult things like beer and cocktails in the first place and instead insist on orange soda and root beer to get buzzed. I know adult kickball is still a thing, but maybe we don’t need to harken back to our childhoods when we get drunk. Finally, what share of the blame should these drink manufacturers take? Without a built in indicator like Mike's Hard Lemonade or Henry's Hard Soda, Not Your Father's Root Beer may have set itself up for a confusing and now notorious entry into the marketplace. But the existence of kid-friendly flavors shouldn't condemn these drinks and ultimately when a customer says, “hey, this bottle says it has as much alcohol as an IPA,” it should be easy enough for a restaurant employee to check that. Frankly I'd like the option of buying a hard root beer now and again, so hopefully this won't just be another case of "one person ruined it for everybody."